Staying in Universitas is ideal for easy access to the University of the Free State, schools like Universitas Primary School (Tjokkies), Grey College, Eunice High School as well as Mimosa Mall, one of the most desirable and luxurious shopping centres in the Free State with 120 leading stores. Universitas is a peaceful residential suburb in Bloemfontein and is conveniently close to the N1 and other main access roads. 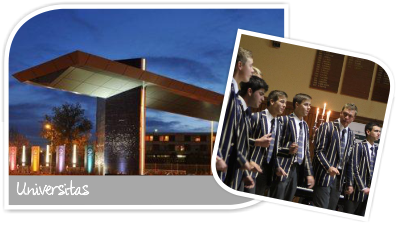 Some of the best schools in Bloemfontein and the country are situated in and nearby Universitas. Apart from the ones already mentioned, Jim Fouché Primary School and Secondary School are also in close proximity. Universitas has some smaller convenience shopping centres that include well-known brands such as Spar. There are ample banki ng facilities, filling stations, a post office, churches, beauty salons and more. Getting around Bloemfontein from here and travelling into the centre of town to visit the number of museums, monuments and old buildings is easy. In terms of properties, it roughly consists of 65% houses and 35% sectional title properties like townhouses, flats or duets. The Striata retirement village offers a safe, up-market, cost effective property option for people over 50. Universitas provides excellent property investment opportunities and is ideal if easy access and a central location is important to you.